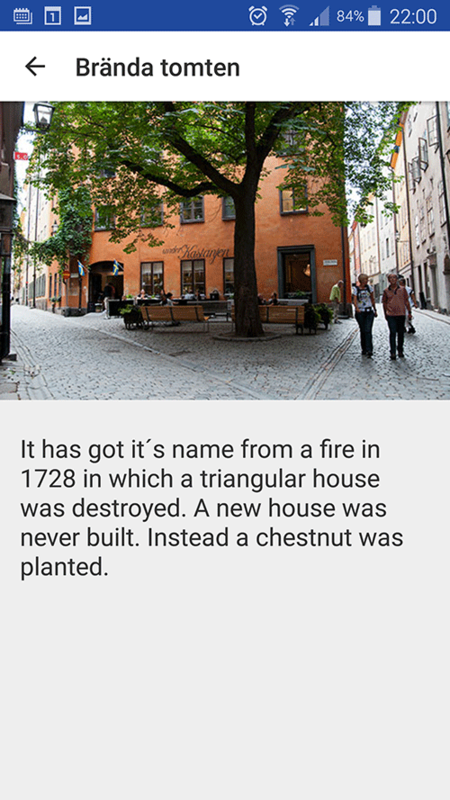 With our app Walk in Stockholm (available for Android) you can explore and get to know Stockholm even before you come here. 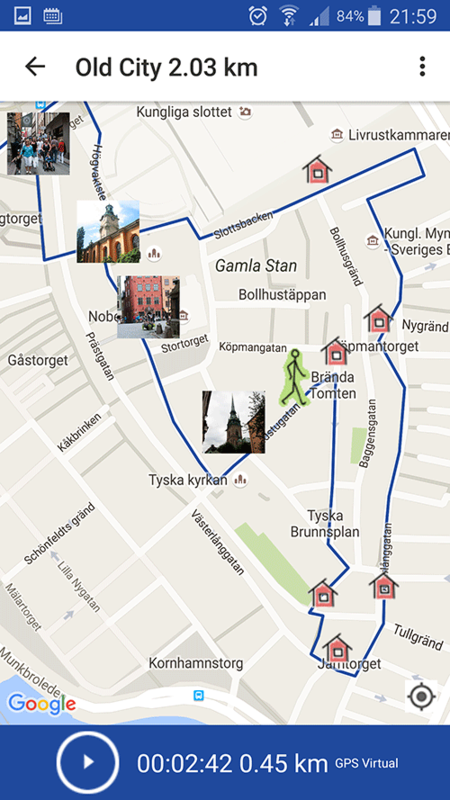 Download the app and take virtual walks in Stockholm. 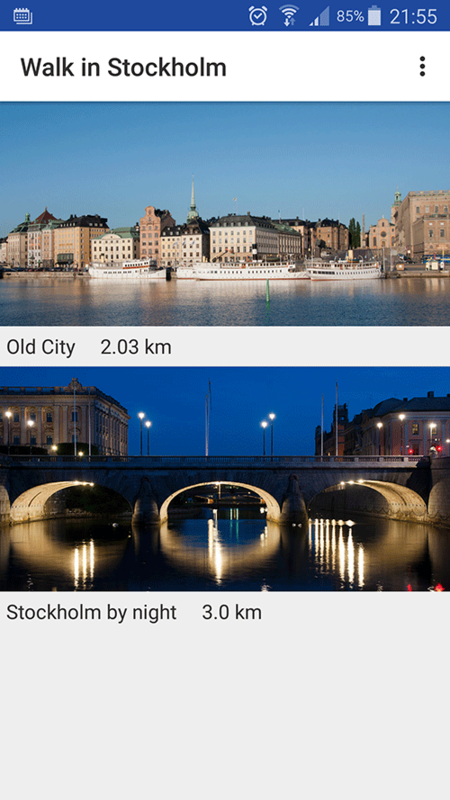 The app will help you to explore the beautiful city, and you will feel almost like actually walking in Stockholm. And if you come to Stockholm you can take the same walks, but now In Real Life! Choose a walk. You will se the route on a map. If you walk In Real Life you will always see your position in the map, which will helt you to find your way around the beatuiful city of Stockholm. If you take virtual walk you can walk wherever you like. You click the Walk-button and start walking. The app will "translate" the distance you walk to the walk in Stockholm, and show your "position". Along the walk there are red houses on the map. They represent interesting places. When you reach a house a text and a photo will show app that lets you know more.